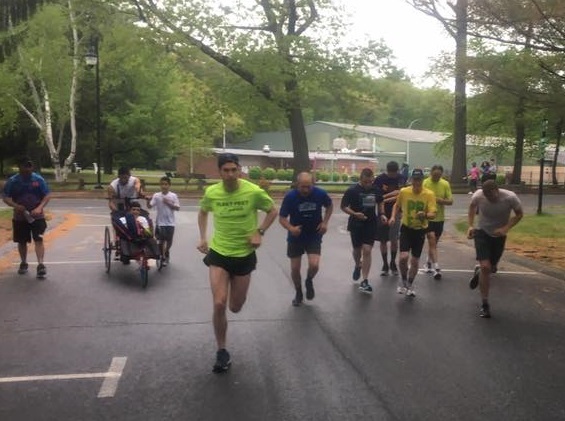 The Greater Springfield Harriers, Inc., is an athletic club focused on the specific sports of track and field, cross country, long distance running (particularly road races), and race walking. 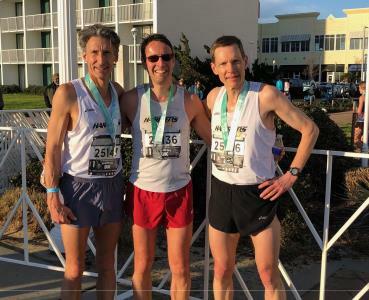 Congrats to a trio of Harriers that went down to Virginia Beach to compete in the Masters USATF National 8K Championship. Nat Larson finished 10th Overall 26:26 and 1st in M5559 div, Kent Lemme was 19th Ovrl and 1st M5054 and Francis Burdett 54st Ovrl 9th M5054 29:47 which looks to handily win the Men's 50+ title. Awesome job! 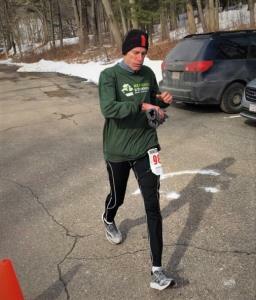 Mike Lescarbeau showing fine form in the early season, scoring a 19th overall & 4th in the M40 age group with a 2:09:19 6:56/mi pace. 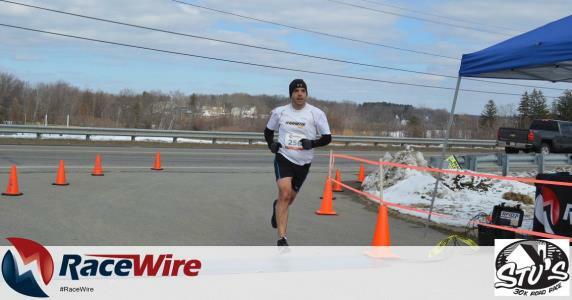 No doubt Mike is ready for another great result at Boston this year! From left to right: Ed Parrott, Sandu Rebenciuc and Alejandro Heuck. 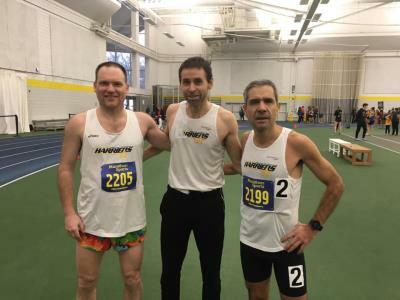 Sandu is two months from his fiftieth birthday and ran 4:38, while Alejandro ran 5:05 out of the slow heat, just one week after running a smoking 2:18.5 800m at the New England England Indoor Champs at Harvard track. Ed ran the 800m in 2:37.19. 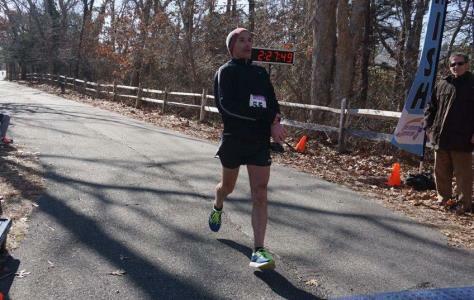 Sandu also ran the 3000m at the USATF East Region Indoor Champs in Providence, R.I last January. 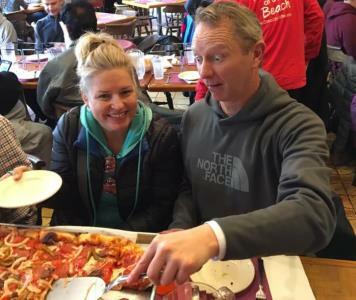 Kristine Valentini and Tim Londo taking in some post race carbs at Red Rose Pizzeria. 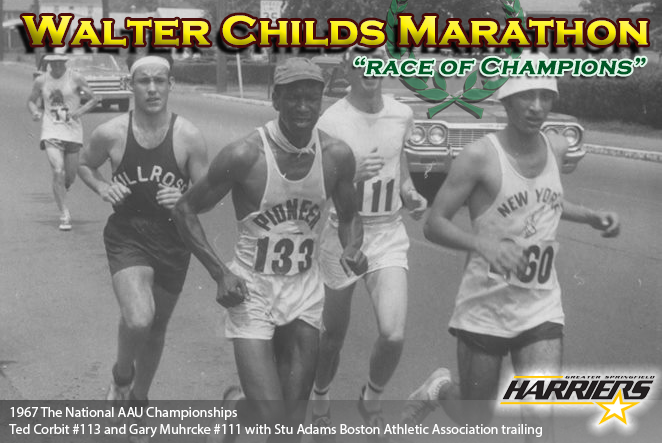 Each year the B.A.A awards invitional bib numbers to regional running clubs that have been supportive in marathon activities. We are proud to have Barbara Bosworth and Alexandria Schoolcraft represent the Grtr Spfld Harriers this year. Congrats and good luck! USATF individual membership is not required, but you must be an active member of our club. JSON DATA GETS INSERTED HERE. DO NOT EDIT!!! Please support your local running specialty store! Check out Fast Feet for the BEST SERVICE AND LOWEST PRICES!